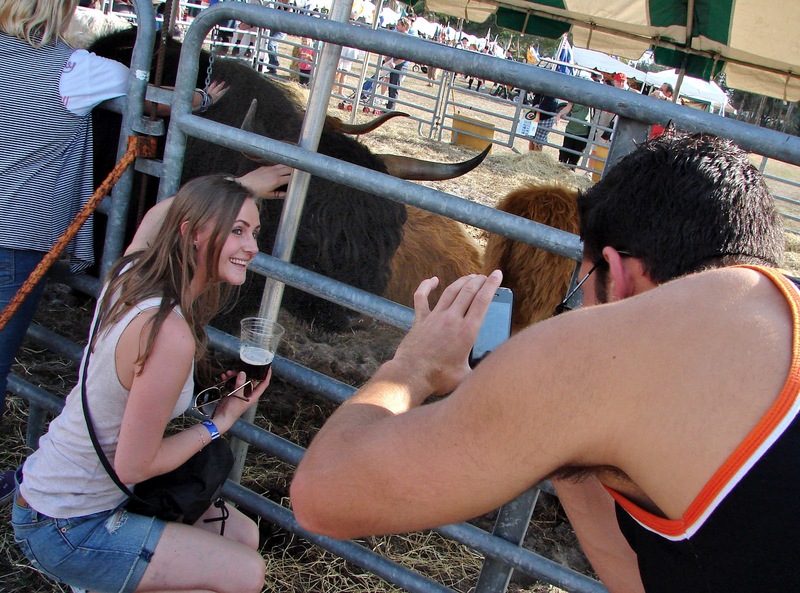 Guy taking photo of his gal and a cow. This past Saturday, I wandered around the 17th Annual Scottish Highland Games & Celtic Festival being held at the Sarasota Fairgrounds. I’m not Scottish (I am perhaps one-fourth Irish, through a grandmother who died 40 years before I was born) and I’d never been to this particular event before, but I thought it might make a fun afternoon out. 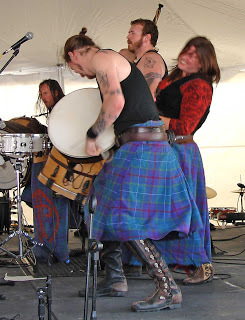 I met lots of nice folks, many of whom were researching their heritage, took plenty of pics, and heard some very lively music by Albannach, a Scottish tribal drumming band. I even bought myself a present of a little silver Kells knot design pendant and a ring. I came home with some delicious blueberry scones which I have been having for breakfast ever since, and some Empire Biscuits, which barely lasted out the weekend! So it was a very good day out all in all. HERE is a link to my best pics of the day.